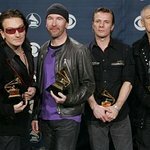 Chegg, the Student Hub, U2 and ONE today announced a social media contest to give college students nationwide an exclusive chance to see the rock band up close this summer. Beginning today, any college student can enter to win 2 fan favorite floor tickets to see U2 as part of the band’s iNNOCENCE + eXPERIENCE Tour 2015. Every one of the band’s 28 U.S. tour dates this summer in San Jose, Phoenix, Los Angeles, Denver, Chicago, Boston and New York City will host ten winners and their guests. 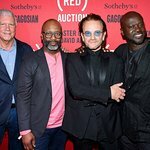 ONE, an advocacy organization co-founded by Bono in 2004 to help end extreme poverty, is also partnering with Chegg to bring this U2 concert experience to students. ONE actively works to encourage millennials to get involved in the fight for smart policies that save lives. The collaboration with Chegg represents ONE’s initiative to engage and mobilize the next generation in the ongoing effort to end extreme poverty. In addition to this campaign, ONE also runs on campus programs at over 140 colleges and universities across the country. Students 18 and older attending college can enter for their chance to win by simply visiting music.chegg.com/U2, logging in via Facebook, and entering. Students can enter once daily. Students can also enter once a day for an extra chance to win by Tweeting about the contest with #U2ieTOUR. The winning students will be selected at random following the close of the contest, and the winner’s guest must also be a registered college student. Entries are open today through May 15th, 2015 at 11:59PM PST.